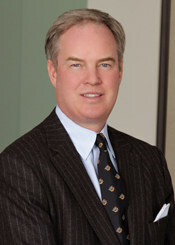 Lloyd Leva Plaine was a highly regarded trust and estate lawyer in Washington DC who passed away in 2010. The ACTEC Foundation supports a lecture series with the Heckerling Institute on Estate Planning in her memory. The last lecture was January 23, 2018 with Trevor Potter, a former Commissioner and Chairman of the Federal Election Commission, who will offer an inside look at Washington and the impact of money in politics. Trevor Potter — Money in Politics: A Hydraulic or a Legal Issue? For over a century federal law has attempted to regulate the sources and amounts of money in elections. The result proves to some that money is a hydraulic force: efforts to channel it only result in broken dikes and washed away dams. Others believe that the problem is in artful drafting, failed regulators, partisan greediness, the leveraging of the tax code to subvert the campaign finance laws, and a Supreme Court which has no understanding of how politics and the legislative system actually work. Which is it? Lloyd Leva Plaine Distinguished Lecture Series “The Supreme Court in the Age of Obama” [PDF] Presentation by Jeffrey Tobin. Summary Prepared by Steve R. Akers.